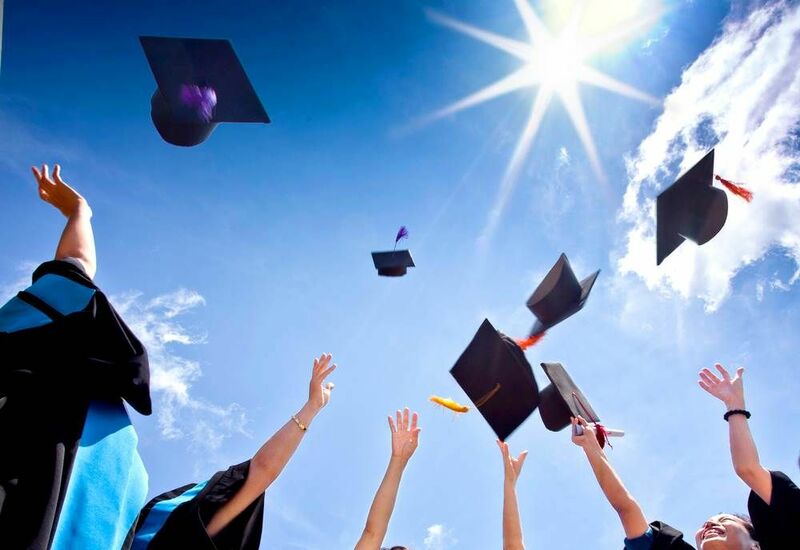 Attestation – Graduation day 2019. 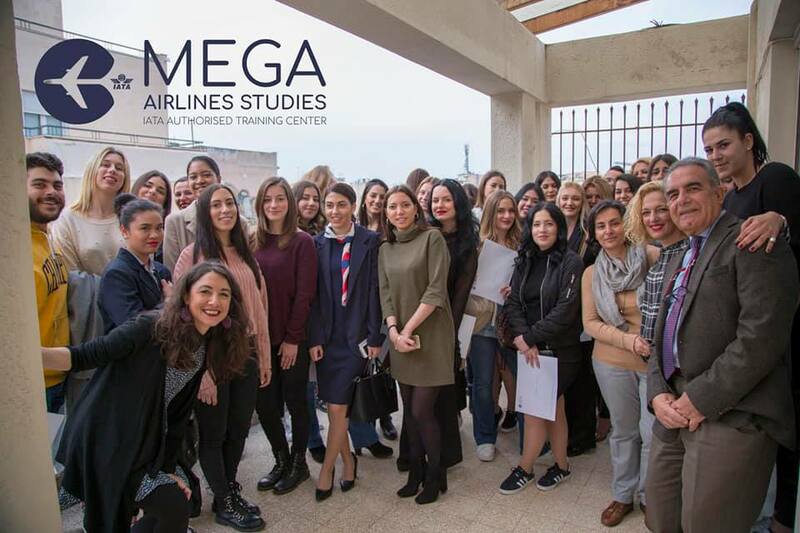 As of October 2019, Mega Airlines Studies, a leading training center in Greece certified by the International Air Transport Association (IATA), will be offering new IATA-specialized courses to those looking to pursue a career in the aviation sector. “Only with IATA diplomas can a student be sure that the studies he follows today are not obsolete, as the IATA curriculum is known to be constantly renewed, following technological and market developments,” says George Galitis, the owner and founder of Mega Airlines Studies. 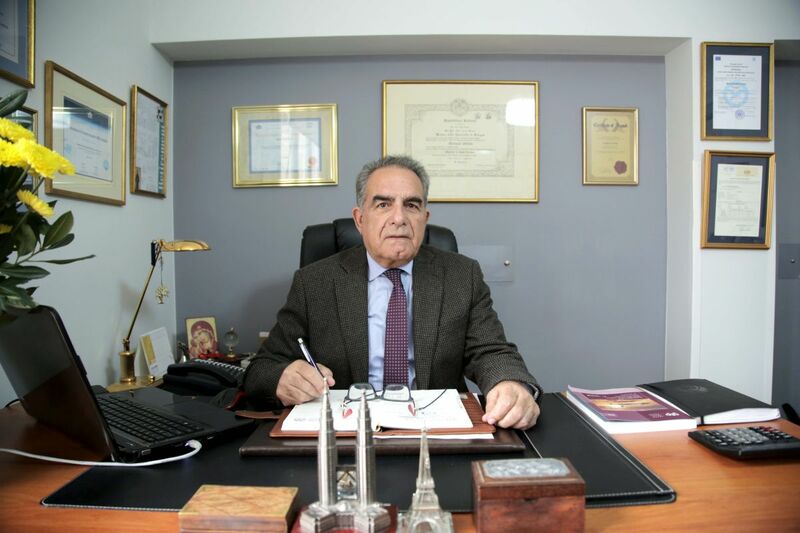 As an Alitalia manager for 35 consecutive years and as president of the Aviation and Tourism Federation, in the late 1990s George felt the need to establish a top school for the aviation and tourism industry, since the then existing educational structures were deemed unable to keep up with the industry’s fast and demanding trends. In operation since 1999, Mega Airlines Studies has trained a great number of today’s professionals that work in airports and in aviation in positions including flight attendants, travel agency staff, ground escorts, flight managers, airport security officers and cargo officers. In this interview, George introduces Mega Airlines Studies, its new courses for 2019 and also underlines the challenges faced by aviation today. GTP: Mr Galitis, Mega Airlines Studies is among the top educational centers in Europe. Please give us a brief introduction of the educational center. What inspired you to create Mega Airlines Studies? George Galitis: In 1999, I decided to establish Mega Airlines Studies, aiming to fill the gap in the field of air transport education. Since then, Mega Airlines Studies is the only authorized training center certified by the International Air Transport Association (IATA), the Hellenic Civil Aviation Authority, the National Organisation for the Certification of Qualifications & Vocational Guidance (EOPPEP) and the European Union Aviation Safety Agency (EASA), providing diplomas for the aviation and tourism industry, as well as cargo transport. We have been regularly awarded by IATA since 2011 as one of the world’s top educational centers based on our graduates and their performance. During all these years, our training center has trained most aviation professionals. 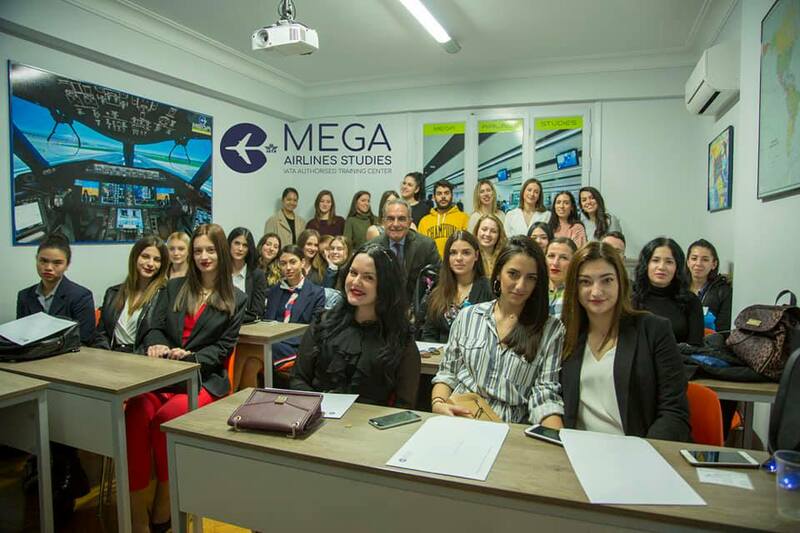 In addition, Mega Airlines Studies has carried out a variety of collaborations and trainings with leading international and Greek companies through seminars and professional diploma courses of IATA (with Cosco for example). GTP: What courses does the center offer and which are in most demand? George Galitis: Our training center certifies the specialties of Cabin Crew, Cargo and Dangerous Goods, Aviation Security, airport ground handling staff, travel agency employees, Airport Operations and Ramp Services, and Airline Marketing. Our most popular course is the combined program of the IATA Foundation in Travel & Tourism and EASA Attestation of Safety Training. Our graduates who have obtained both of these diplomas can work both at the airport and in aviation, as airlines can employ them both on flights and on the ground in administrative positions, at check in, etc. Also, the IATA Airport Operations is a diploma that is highly popular among our students who seek to pursue a managerial position within the airports (Fraport, AIA). GTP: Mega Airlines Studies is an IATA Authorized Training Center (ATC) in Europe. Just how important is an IATA diploma for a professional in the aviation market? What are the advantages? George Galitis: Students that understand that theoretical knowledge is inadequate and want to obtain the most modern vocational training, trust the IATA brand and Mega Airlines Studies. These are globally recognized diplomas that enable their holders to work at any airport and any airline around the world. Only with the IATA diplomas can a student be sure that the studies he follows today are not obsolete, as the IATA curriculum is known to be constantly renewed, following technological and market developments. Each diploma is taught in an academic semester and the graduates are highly trained and work directly in the air and the tourism sector. GTP: What kinds of jobs are available for students graduating from Mega Airlines Studies? What are the most popular specialties within the aviation field? George Galitis: Our graduates work as flight attendants, travel agency staff, ground escorts, flight managers, airport security officers and cargo officers. GTP: What does Mega Airlines Studies have planned for 2019 in regards to new programs and IATA-specialized courses? George Galitis: Our training center, always trying to follow the market and respond promptly to its requirements, is starting to teach new IATA-specialized courses as of October 2019. 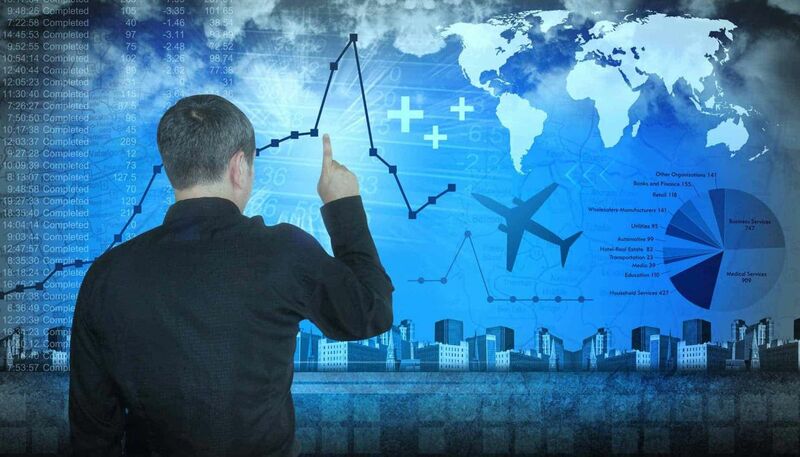 Our new courses specifically concern the majors of Introduction to SMS, Airline Revenue Management, Introduction the Airline Industry and Ground Operations Management. The IATA Airline Revenue Management training course will be offered in collaboration with Hellenic American University, following our desire to enter into partnerships with senior professional and educational institutions for the benefit of our students. GTP: What would your message be to prospective students thinking about an education and career in aviation? What career advice can you offer aviation school graduates? George Galitis: To the future aviation professionals I have to say that the industry they have chosen to follow is a sector that remains our country’s heavy industry. It is a sector that never stops evolving and offers prestige and rewards to its employees. If one wants to get the right credentials and has passion and perseverance, he can climb as high as he can imagine. GTP: After students graduate and are out in the job market, can they expect support from Mega Airlines Studies regarding professional rehabilitation? George Galitis: Our students, after completing their studies, are now friends and partners. This is because through our Interconnection Office we promote their CVs, they are recruited and we are pleased to see them proceed with their careers and evolve. During their studies, they learn how to write their resume and what to expect during the interview process, and together with their diplomas, they have all the skills required for a career in the field of aviation and tourism. Personally, as chairman of the Aviation Federation for 15 years and Alitalia’s managing officer for 35 consecutive years, I am very familiar with the sector but also the sector’s professionals know me and trust me. In that sense, many professionals seeking staff for their businesses turn directly to us and we see for our graduates to be absorbed directly. Our students are currently working in major airlines and travel agencies such as Aegean, Olympic, Ellinair, Ryanair, Olympus, Qatar, Orange to Fly and Marine, Aktina, Griffin, American Express etc. GTP: What challenges do you see in aviation (generally and in Greece) these days? 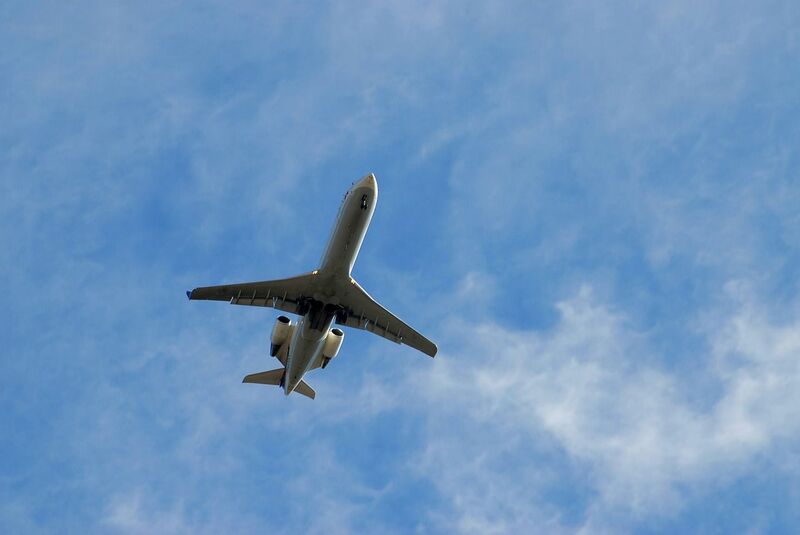 If you could pass on a message to the aviation industry, what would it be? George Galitis: In Greece, the aviation area has changed. The privatization of airports and their passing to Fraport has boosted healthy competition and increased training requirements. New airlines are active and older are being modernized, so we have to keep track of developments and not lag behind. The monopoly of Olympic is a thing of the past and Greek airlines have brought major changes to air travel. Even in the midst of the crisis, we witnessed the industry maintain its glory and hold an important market share. Also, the construction of the airport in Kastelli will create new prospects and new jobs. We, as IATA regional training partners, have the appropriate diplomas to certify all airport employees, from simple employees to high officials in administrative and key posts, so that workers in Greece can be prepared for every new challenge. GTP: In regards to Greek tourism, how do you see the sector progressing this year? George Galitis: Greek tourism has grown over 35 percent over the past five years, with a record of arrivals and revenues, and has emerged as the driving force of the Greek economy. Ties with the global tourism market that go back decades remain strong to show that Greece was, is and will be a sought-after destination for travelers from all over the world. As reported by the Greek Tourism Confederation (SETE), the travel balance in 2018 showed a surplus of 13,943 billion euros against a surplus of 12,725 billion in 2017. This development is due to the increase in travel receipts by 1,483 billion and from what we can predict for this year, is that Greek tourism will continue to rise. For further information on the IATA-specialized courses offered at Mega Airlines Studies, press here.